Why a pig as a piggy bank? I give a number of arguments in the pages of my website. The central point is that the pig symbolizes happiness. And therefore a pig piggy bank too. An excellent gift to accompany your wishes with for example New Year or a birth. 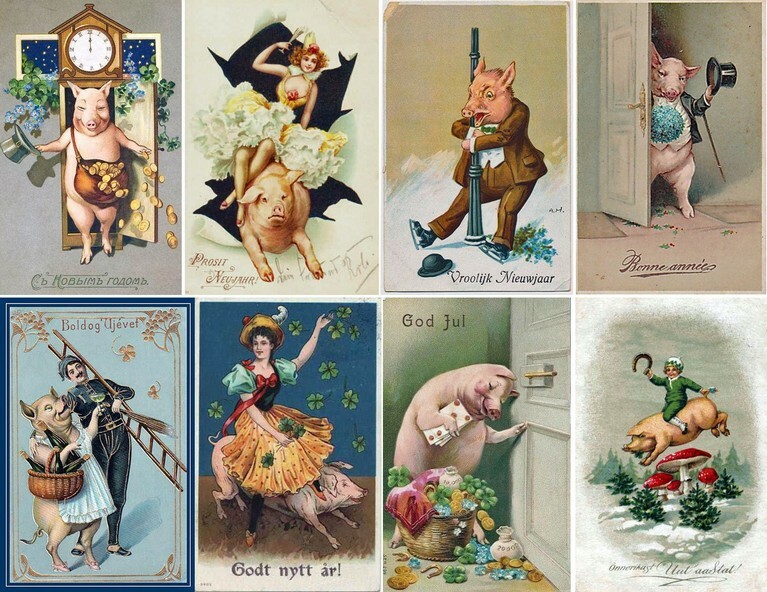 I have found some examples of the pig that is central to New Year's wishes. I have also searched for greeting cards with pig piggy banks, but have not found them yet. If you know one... please let me know.